The Charlie Daniels Band closed the 2012 "Tuesday in the Park" concert series at Artpark this past week. Though 75, Daniels manned the stage like someone a third of his age. Artpark & Company has hosted many notable musicians as part of its "Tuesday in the Park" concert series. The Lewiston performing arts venue has hosted hit-makers, Grammy winners, television and film actors and even a "Dancing with the Stars" contestant. But next week's headliner is quite possibly the only one to have had an entire museum dedicated to his life and career. For 10 years, the Charlie Daniels Museum was open in the heart of Nashville, Tenn. Each year, thousands of visitors (including this writer) ventured into the 2nd Avenue treasury, which housed priceless pieces of a career that includes collaborations with Elvis and Bob Dylan, 20 million records sold, and a membership in the Grand Ole Opry. "It made me feel great," Daniels said in a phone interview. "To be part of (visitors') Nashville experience I thought was just a great situation. They could come in and see kind of what represented so many years of my life. To actually see a lot of the physical things, the awards - two Grammys - the things that I have devoted my life to doing, I thought it was pretty cool." Though the museum is now dormant, its namesake is still very much active - even at age 75. Daniels and his band still tour extensively. When calling this writer, The Charlie Daniels Band was on the way to Oregon "doing typical summertime stuff for us," Daniels said. Though he's notched some incredible material awards, Daniels said it's the personal interaction with fans that means the most to him. "That's been part of my life for so long: doing concerts; playing for people; playing live for people; the instant appreciation that you get; and all the things that go into making up a career in music," he said. "That all boils down to being the best part of it, as far as I'm concerned, is to be able to play your music live in front of people and have them show you that they appreciate it is a very gratifying thing. That's my favorite." Daniels' stage philosophy is simple: "I firmly believe in doing the songs that you're known for," he said. "We always do the songs that you'd expect us to do - or most of them, at least," Daniels said. "We always do 'Devil Went Down to Georgia' and 'Long Haired Country Boy.' You know, 'The Legend of Wooley Swamp' - the things that people have heard on the radio. But we've got some surprises for you." Indeed, Daniels is far from a one-trick pony. If he just kind of sat idly on stage, it's a good bet to say his career wouldn't have lasted 50 months, let alone 50 years. "You know, I have a lot of people ask me, from time to time, 'What do you do to have a long career like you've had?' " Daniels said. "I always tell them, 'Learn to entertain people. Learn to do something besides just get on stage and sing your song.' "
Only three of Daniels songs cracked a Billboard Top 10 chart ("Uneasy Rider," "The Devil Went Down to Georgia" and "Still in Saigon"). Yet, his band remains one of the top touring acts. Several thousand are expected to attend Daniels' Sept. 4 "Tuesday in the Park" concert at Artpark. "That's how you sustain a career is to make people enjoy what you do." 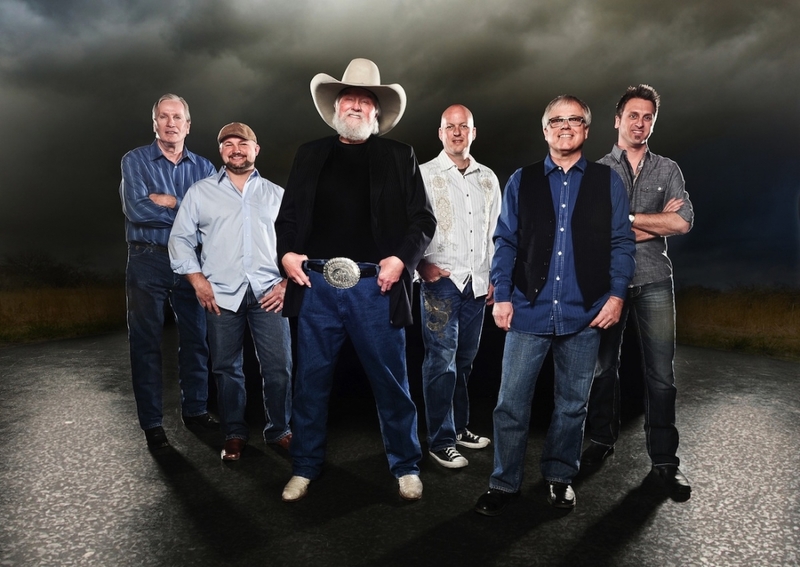 The Charlie Daniels Band performs Tuesday, Sept. 4, at Artpark. The opening act is Little Mountain Band. Find the Charlie Daniels Band online at http://www.charliedaniels.com. 2012 marked the first time Artpark & Company charged patrons a ticket fee to attend the "Tuesday in the Park" concert series. Shows ranged in price from $5 to $15. Artpark President George Osborne said the new format, which enabled him to book more appealing acts, was an unquestioned success. "The improvements in the amphitheater, coupled with the charging of a small admission to the Tuesday night concerts, have produced results that far exceeded our expectations," he said. "We have averaged 8,500 per concert with five shows sold out. The lineup is without a doubt the strongest we have ever presented on the 'Tuesday in the Park' series, and the audience response has been overwhelmingly positive. We are excited about taking this series to the next level and beyond for 2013, our 40th anniversary season."